ONE lightning strike was all it took to cause more than 1900 homes in the Gympie region to lose power for up to six hours this afternoon. According to the Ergon website, 26 towns from Glenwood, Gunalda, Curra, Woolooga through to Tiaro were "left in the dark." Gunalda bakery manager at Mi Bakery Lisa O'Brien said the power outage has caused her to lose a lot of stock. "We've had a few power outages this year, it causes us to lose products because the food needs to be fresh," Ms O'Brien said. "Earlier this year we lost a whole day's worth of business, we had no other option but to shut down. "I would say we've lost power eight times this year, it's not out all the time, but the worst one we had lasted for 24 hours." 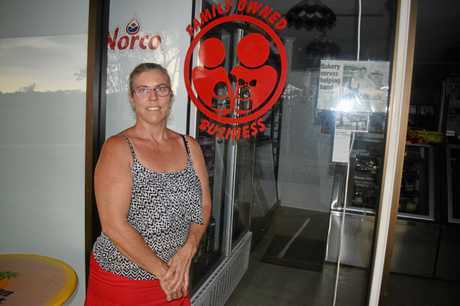 Ms O'Brien said it would be good if small businesses received back up generators. 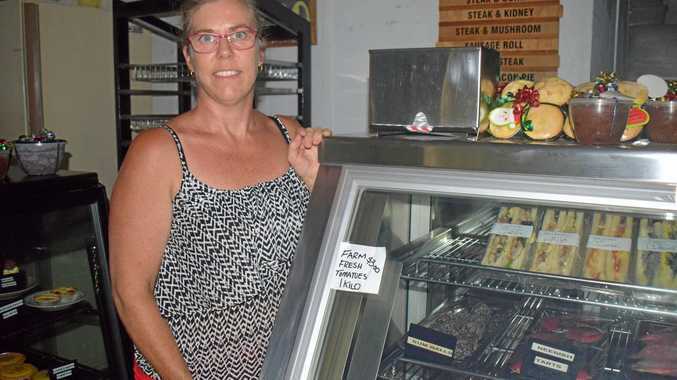 "Back up generators would keep the township going because the locals rely on small businesses so if there's generators then at least we can provide for the community," she said. Ms O'Brien said she's looking to invest in a a generator next year. "We're still building the business, we've only been here for the past two years, but one day we'll look to buying a generator," she said. An Ergon spokesman said they had crews on the ground investigating the outage. 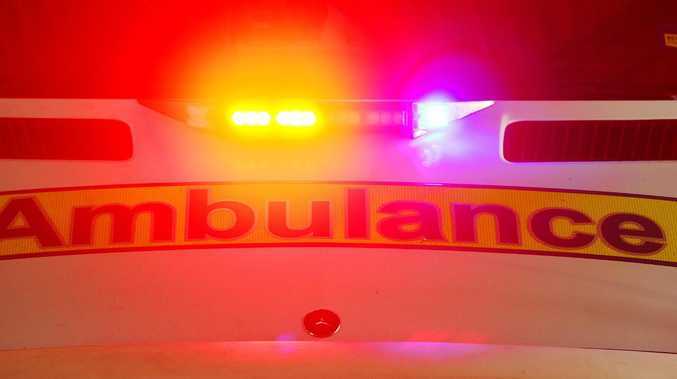 "We have recorded multiple feeder damage from the storms from lightning strikes (these are the main HV supply lines of power into Gympie), as well as branches and trees which have been brought down onto powerlines across the region," the spokesman said. "Our crews are working where it is safe to so - and as quickly as they can to restore power to those affected by the storms. "If anyone sees any fallen powerlines, please call us 131670 (in Ergon Energy territory) or 131962 in Energex territory.... Or simply call triple zero."